A Learning Management System is an interactive software platform that allows individuals or businesses to plan, create, manage and deliver elearning content while tracking learner engagement at the same time. 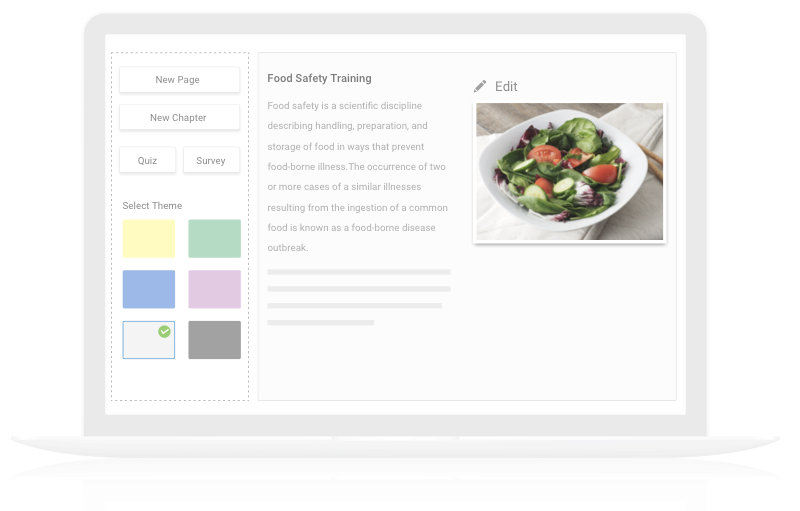 Using a cloud-based LMS software, educators can create courses and assign them directly to any number of learners who are either individuals or a part of a unique classroom. Learners simply need to log-in to their respective classrooms with secure credentials and access courses as per their designated learning paths. Apart from that, an LMS platform also allows for tracking the learning outcomes with unique reports such as who attempted what and when and where a learner stands on their learning journey. Related Blog: What is a Learning Management System ? Create simple to advanced online courses on any topic hassle-free, without any coding or technical expertise. Promote self-paced learning and train hundreds to thousands of employees anytime, anywhere. Track diverse aspects of your courses such as who attempted what course and when. Create beautiful online courses easily that delight your learners. Build a new course or choose from existing 100+ expert customizable courses in the ProProfs library. Upload your existing training content including images, videos, presentations, and docs to make your own online learning system. Add quizzes and surveys to courses using Online LMS System to assess learners and make it an engaging experience. Organize learners into groups, ranging from a few individuals to thousands. Centralize your course assignment with the help of classrooms in the Cloud-Based LMS Training System. Provide self-enrollment so that learners can register themselves to save time and effort. Explore 100+ settings to customize your experience with features like reminders, notifications, authentication, restricting attempts and more. Offer topic-specific course bundles or skill-specific learning paths for holistic learning. Measure learning experiences using Tin Can or SCORM. 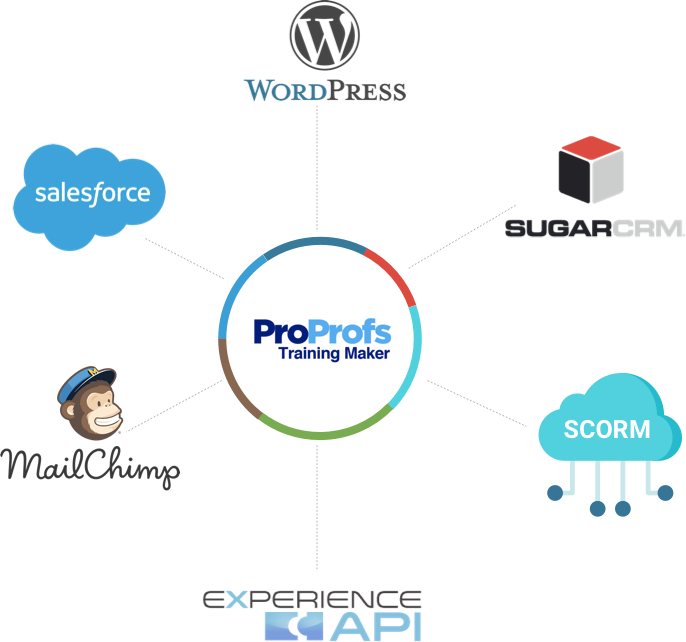 You can import your existing training materials into ProProfs Learning Management System easily. Manage learners in one place using Active Directory and LDAP integration. Single Sign-On (SSO) provides easy login and quick authentication process. We also support Experience API and integrations with SalesForce, MailChimp and many more. Let learners interact, discuss and learn in a collaborative manner using online classrooms. The online learning management software (or the LMS Learning System as called by many) comes with 100+ settings and smart configurations for personalized learning experiences. The learner dashboard on this Cloud-Based Learning Management System displays the courses, assignments, announcements and more for each learner to facilitate ease of learning. Get actionable insights with the help of advanced reports to understand where learners face difficulty or how engaged they are with a course. Check out various reports to know your learners, their scores, performance and more. Utilize automated course grading to save time. Delight your learners with instant results and feedback with the help of Online Learning Management System Software. What Can an LMS do for you? Using a Learning Management Software, you can create, distribute, administer and track a variety of online courses that your learners can access anytime and anywhere. You can access all the courses from one central location to ease out administrative hassles so that your focus remains on creating information-driven courses. Moreover, you can also track who attempts what course with reports to identify gaps and improve your learning outcomes. Given that a Learning Management System Software can be used to train hundreds of thousands of learners at a time without over-relying on classroom training and printed materials, you can also reduce training costs. Easily create and schedule OSHA training for your workforce. Boost employee knowledge about government policies, workplace safety or compliance to foster a conducive work environment. Conduct beginner to expert sales training from an easy-to-use, intuitive learning interface. Allow sales reps to learn at their own comfortable pace, anytime and anywhere. Educate your employees about workplace safety and its importance without any constraints. Train thousands of employees while tracking individual progress, from a single dashboard. Custom design and branded online courses. 100+ pre-built themes and courses. Train and track multiple learners easily. Integrate quizzes & surveys to assess learning objectives. Distribute knowledge with collaboration and knowledge base tools. Designed for all skill levels. No software download or HTML skills needed. View & access training courses independent of time and location. Sell and monetize courses using Stripe or ProProfs Store. 100+ settings for security, access control, branding, etc. Engineer your training LMS according to your business objectives and industry requirements. The learning management platform adopts the role of a continuous source of information for the workers, teaching them safety measures, business objectives, industry standards, and policies as well as job-specific skills. Knowledge sharing and collaboration among learners through LMS is a cost-effective approach for businesses to nurture skills. The user-friendly platform matches different learning styles and qualifications of the workers- especially the ones’ involved with the manufacturing industry. It is a one-time investment for any organization that guarantees positive long-term results. Employee training and development through such a platform is the ideal method that prevents unnecessary wastage of time and money. Satisfied customers decide the success of any company that specializes in the hospitality business. Effective employee training program enhances interpersonal skills and reflects the company’s overall work culture performance. ProProfs LMS Software seamlessly integrates with leading CRM, email marketing, ticketing and analytics tools. 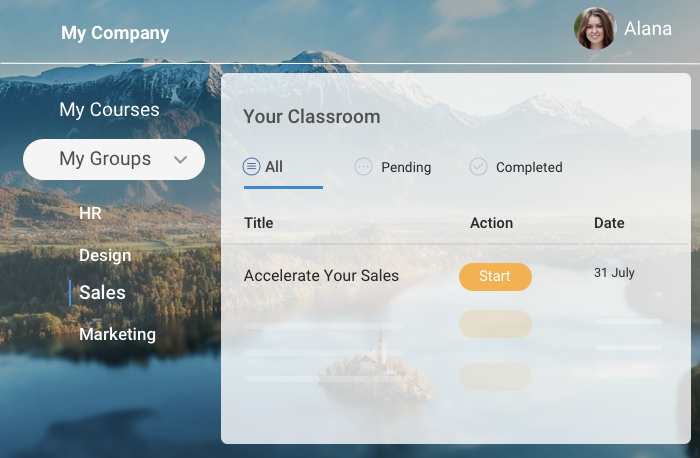 This helps you keep a better track of prospects, opportunities and other sales information, and get useful insights for creating better courses in the future. You can also enjoy better engagement and sales with every online course that you create. Import vital learner data directly to Salesforce as users log in to attempt the courses. 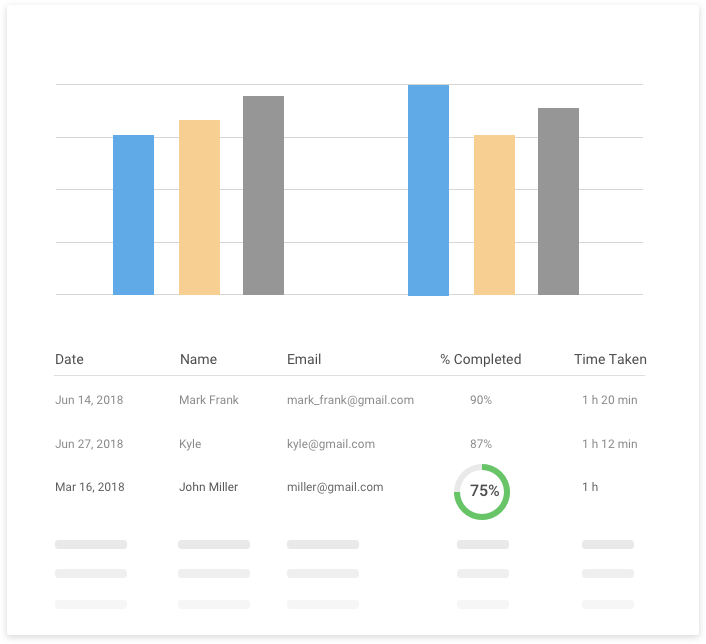 Track learner engagement and view their performance pre and post-course, right from your Salesforce dashboard. 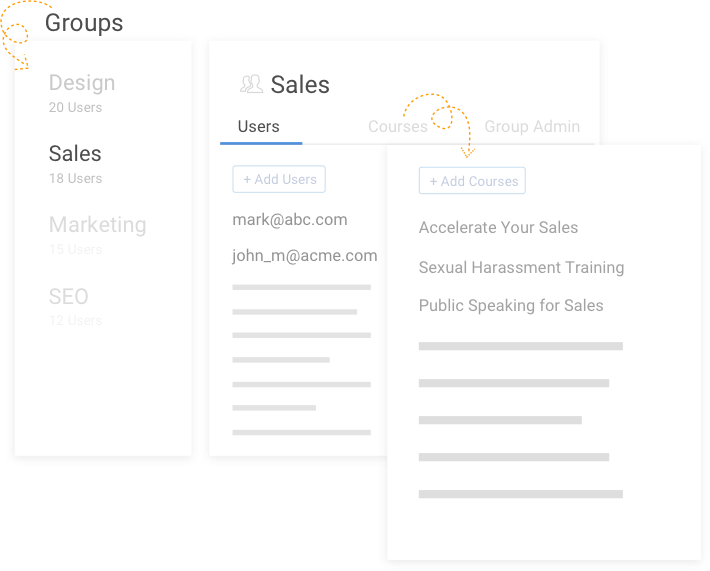 Access course materials, user data, and reports, all within Salesforce. Grow your email list effortlessly on the side with ProProfs LMS and MailChimp integration. Send learner details directly to MailChimp whenever new learners sign up for your courses. Notify learners directly whenever you roll-out a new course or an update. Engage active and passive learners. Bring agility to your recruitment and employee training with ProProfs LMS and TribeHR integration. Assign specific courses to potential hires or employees while tracking performance through completion and passing reports; directly from the TribeHR. dashboard. Conduct training assessments and view test results.